There are two types of tickets attendees can purchase; General Admission & All Access Pass. The perks of the All Access Pass are that you have lifetime access to the speaker recordings, access to the Wellness Lounge, bonus mini breakout sessions, a virtual swag bag of goodies, other digital downloads, and you are eligible for daily giveaways throughout the entire summit. Below are some of my takeaways from many of the speakers. Don’t use the soil on post for gardening. Create a mixture of half compost and half potting soil. For gardening, use 2 foot lanes and use cardboard under the soil to kill the weeds and the grass. Gardening has mental as well as social benefits-especially community gardens. 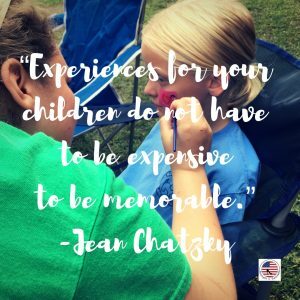 Look at your spending for a week or a month and see where your money goes. Save 15% of what you’re earning (this includes everything). 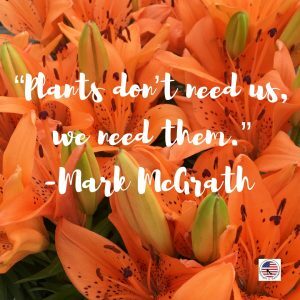 Does your to-do lost point you in the direction of what is truly important? 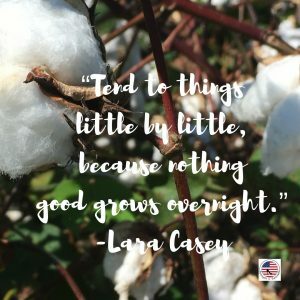 Lara gave insight on how to be intentional about the time you spend on tasks, family, and goals. Maria spoke about how perfectionism is exhausting and gets you nowhere. She gave strategies on how to just get started with something to make progress. Eliminate pre-packaged food for other options. 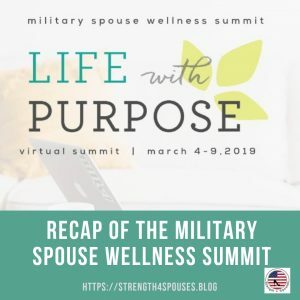 The Military Spouse Wellness Summit is always such a refreshing and enlightening event. This was my second year attending this virtual event. I loved it so much last year, that I decided to become and ambassador for the event this year. The speakers are my favorite part of the summit. They each provide expertise in various areas and there is always something impactful that they say that resonates with me. The giveaways were amazing and the grand prize was an all-expense paid spouse retreat provided to one lucky winner by the Chris Kyle Frog Foundation. You have to be an All Access Pass holder to be entered for all of the prizes. 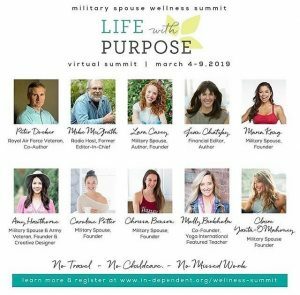 I highly recommend attending this virtual summit if you are looking for great information and mind, body, soul refreshment. The Wellness Lounge provides other opportunities for spouses to learn more about nutrition, fitness, and other wellness topics. I look forward to seeing what the lineup will be for next year in spring of 2020.